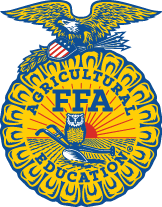 Livingston FFA was founded in 1936. We are changing and redefining our history. Our chapter is over 390 students strong. Our Livingston FFA Chapter strives to help our students learn, grow and develop in the agricultural field. FFA is the perfect opportunity to help our students develop critical life skills that will put them on a path to success. In and outside of the classroom, our FFA Chapter inspires students to be strong leaders.